In 2012, Tenpin chose Eckoh to enable customers to find their nearest bowling centres, make enquiries and make lane bookings. Two years later, Tenpin were looking for a new supplier of a complete end-to-end telephony solution including a live contact centre, Eckoh was their chosen supplier. 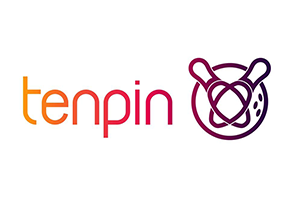 The Tenpin service enables customers to find their desired Tenpin bowling centre across its 38 locations in the UK and allows the caller to be connected for bookings and other enquiries. If a caller is calling from a landline are automatically presented with their nearest location whilst mobile callers are able to use speech recognition technology to provide their location. In 2014, the new agreement extended to a broad range of services including management of all inbound phone numbers, call routing, IVR, taking secure payments and the provision of a live-agent contact centre. Eckoh's management of all Tenpin's inbound phone numbers, call routing and IVR, has improved efficiency and reduced the cost of wasted calls. Using Eckoh's live contact centre agents to assist Tenpin customers with numerous tasks including secure payments, has given Tenpin the capability to deliver a much improved, seamless customer service. Over the last two years Tenpin has received exceptional IVR service and support from Eckoh. Their excellent service record made them a great choice for us when we looked for a new supplier of a complete end-to-end telephony solution including the live contact centre."